Rep. Devin Nunes said on Sunday he will send eight criminal referrals to Attorney General William Barr this week, all related to the Trump-Russia investigation. 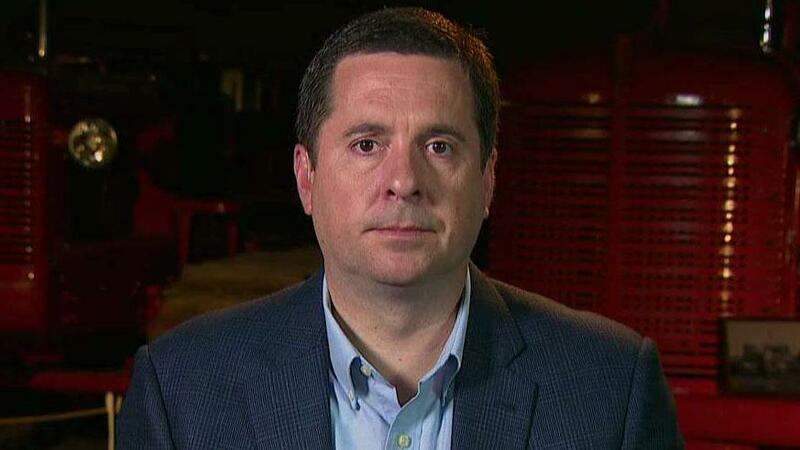 Five of the referrals are “straight up referrals,” or ones that name someone and the specific crimes they committed, according to Nunes, R-Calif., who broke the news on “Sunday Morning Futures.” In this particular case, the House Intelligence Committee ranking member said the crimes are lying to Congress, misleading Congress, leaking classified information. “We believe there was a conspiracy to lie to the FISA court, mislead the FISA court by numerous individuals that all need to be investigated and looked at, and we believe the statute is the conspiracy statute,” he explained. The second referral that is tied to conspiracy involves manipulation of intelligence “that could ensnarl many Americans,” according to the congressman. “When you look at the conspiracy, that could get up to a dozen, two dozen people,” he said. The California Republican said two examples of leaks are associated with President Trump. They include Trump’s conversation with the Australian prime minister, and his call with the president of Mexico. Another instance, Nunes said, is the leaking of the transcripts of a phone call between former national security adviser Michael Flynn and Sergey Kislyak, the Russian ambassador to the U.S.
Nunes declined to provide names of those on his list of referrals.